This story was first published on Malay Mail Online. Click HERE for the article. A few years back, had anyone told me that the sleepy town of Kota Baru in Kelantan offers some really tasty eats, I would have rolled my eyes in disbelief. Possibly clouded by political propaganda and overwhelmed by the gastronomic delights found in other states, Kelantan was never in my radar for a good many years. Even the sheer thought of driving all the way to Kota Baru sounded torturous; but as luck would have it, we had to drive to Kota Baru town (KB for short) for work more than once. That first visit back in 2009 was an eye opener for me. A stark reminder that we should never, ever limit our horizons because of assumptions and hearsay. Not only was KB this beautiful town that was far from lifeless (try getting stuck in traffic during peak hours when everyone’s going home for dinner and you will forget that you’re miles away from Kuala Lumpur! ), but I was really mesmerised by the magnificent array of Kelantanese cuisine. 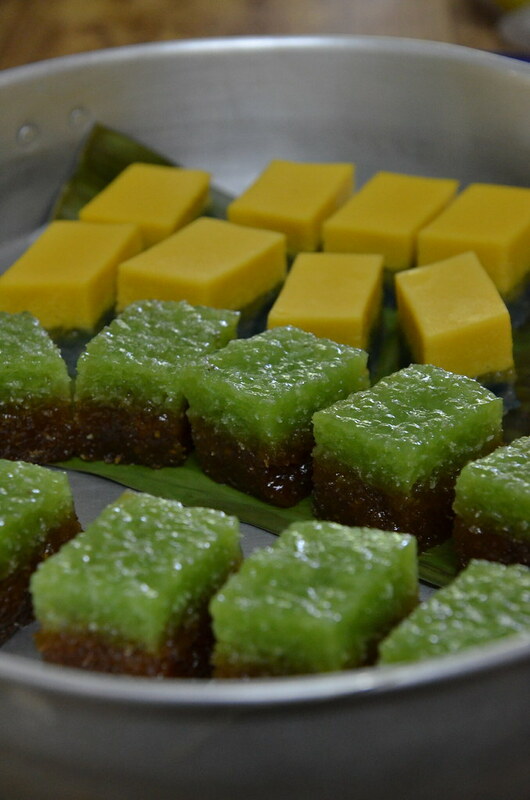 These are mostly rice dishes and then there is a variety of egg-infused kuih-muih with some heavily influenced by the Thais (Kelantan shares a border with Sungai Golok/Kolok, the town infamous for post-sunset entertainment). This article was first published on The Malay Mail Online. Click HERE for the original article. 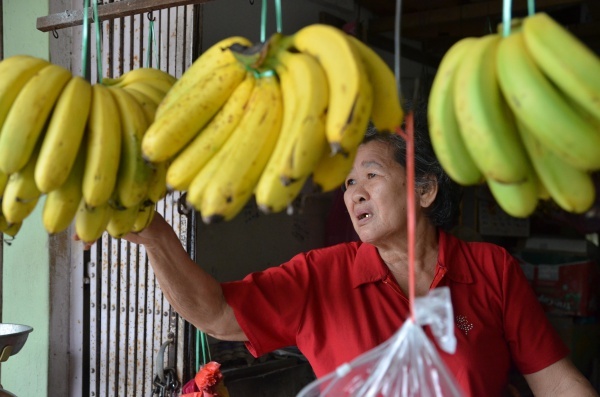 The aunty manning the fruits stall at Canning Garden Market owns an orchard in Tambun and most of the fruits sold at her stall are home-grown produce. Tell a kid from the “i” generation (you know who they are; the ones growing up swiping digital screens with their fingers from a really young age) to drop by a wet market for breakfast and the reaction should almost always be predictable – a look of horror mixed with disgust. This article was first published on Malay Mail Online’s Eat/Drink section HERE. It took us several wrong turns thanks to a series of epic navigational failures peppered with flaring tempers and a healthy dose of curses before we managed to reach Dapur Cho Cho along the main road of Batu Berendam. This being a modest single storey house hidden in a most inconspicuous manner adjacent to a TNB powerhouse made things so much tougher, not to mention the confusion between the old name; Jalan Taman Merdeka which is perpendicular to the main road now renamed to Jalan Mohd Zin Dsh where Dapur Cho Cho is located. And in case you’re wondering, they do NOT have a signboard indicating where Dapur Cho Cho is; but if you look hard enough you can see the number of the lot written in black paint across the verandah — house number 84-3. Subtle clue, no less. And challenging to locate if you’re not familiar with the territory like us. 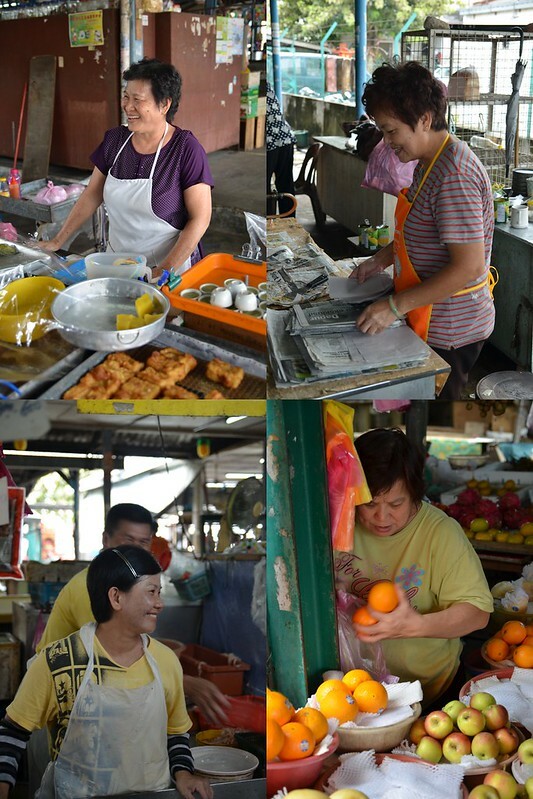 This story was first published on Malay Mail Online’s Eat/Drink section on April 6. I remember how we used to stay up really, really late into the night pondering over school projects, peppered with mindless small chats and life anecdotes (well, whatever that’s significant during the teenage school years). That the few of us school mates would be struck by hunger pangs at the most inconvenient of times; say, way past midnight and wondering where to head for a quick bite. 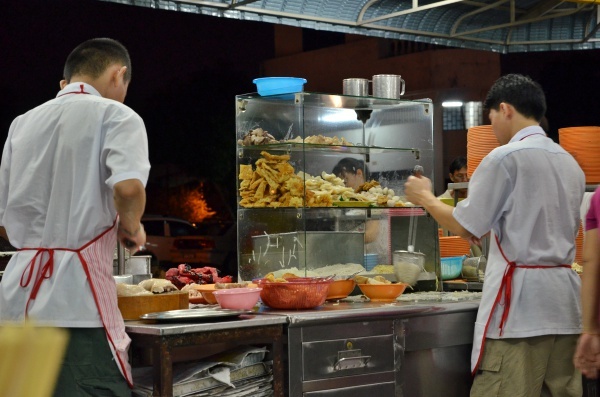 But of course, when I mentioned ‘quick bite’ in Ipoh back in the 90’s, I don’t refer to the 24 hours ‘mamak’ stalls or fast food outlets, mind you. There probably was only 1 round-the-clock ‘mamak’ outlet back then; the still viable today yet less popular Salam Corner at the back of Jusco Kinta City. 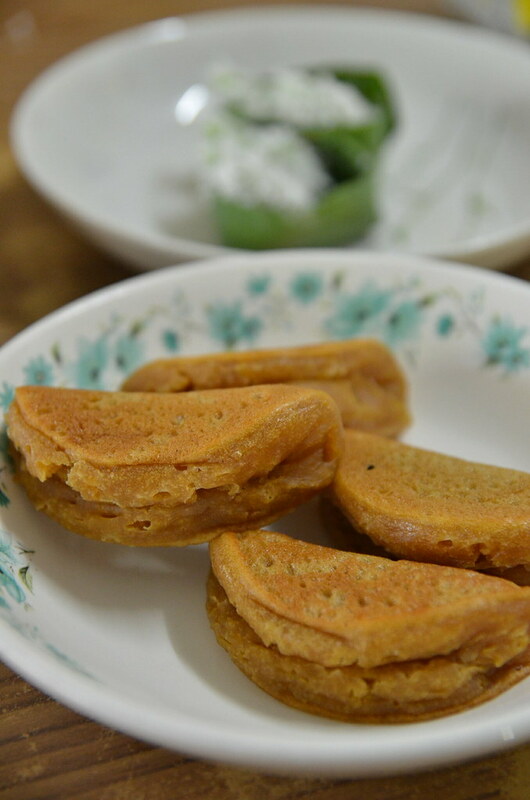 But since we usually would be gathering around Pasir Puteh area, it made sense for us to look for alternatives. In the form of this really excellent place for late night noodles, chicken and bean sprouts. 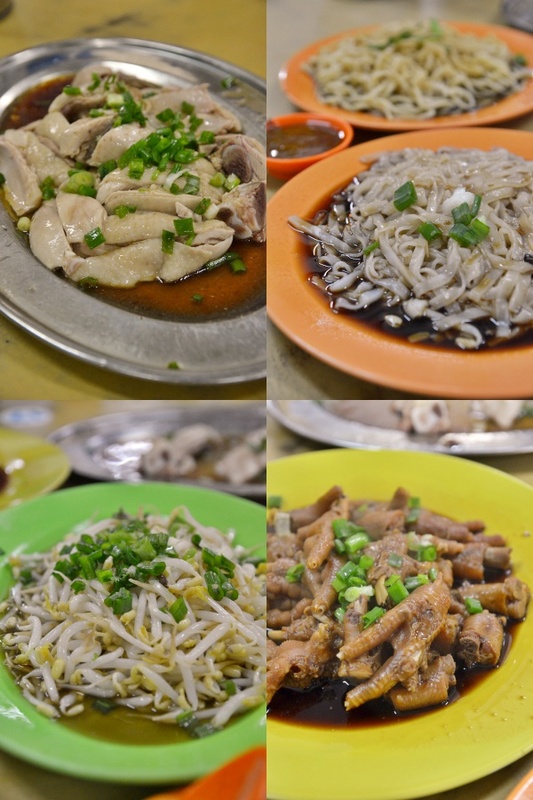 Yup, imagine savouring Ipoh famous ‘nga choy gai’ (bean sprouts chicken or ‘ayam tauge’) in the wee hours of the morning. Kum Kee is the official name of the corner lot opposite of Pasir Pinji police station, yet most of us remember this fondly as the place famed for “Big Small Feet”. Let me tell you why.